Welcome to Stotz & Fatzinger! We are excited to bring you the wide assortment of products featured. Our goal is to make your time at the office easier and more productive. 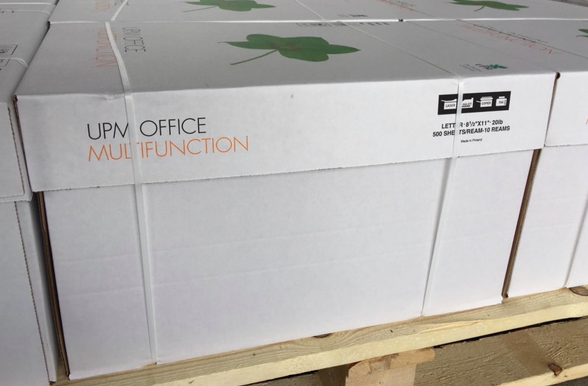 Stotz & Fatzinger Office Supply provides value added office products, furniture, janitorial products, coffee, business forms, printing and warehousing distribution services to make your shopping experience enjoyable and really easy. Looking for promotional products ranging from drinkware to apparel to bags? Browse a variety of these products to help promote your company today! Interested in decorating your office? Visit Great American Art to find the perfect designs to make your workspace extraordinary. Don’t forget to mention that Stotz & Fatzinger Office Supply sent you! Great deals on copy paper! Stotz & Fatzinger Office Supply is an approved COSTARS supplier! 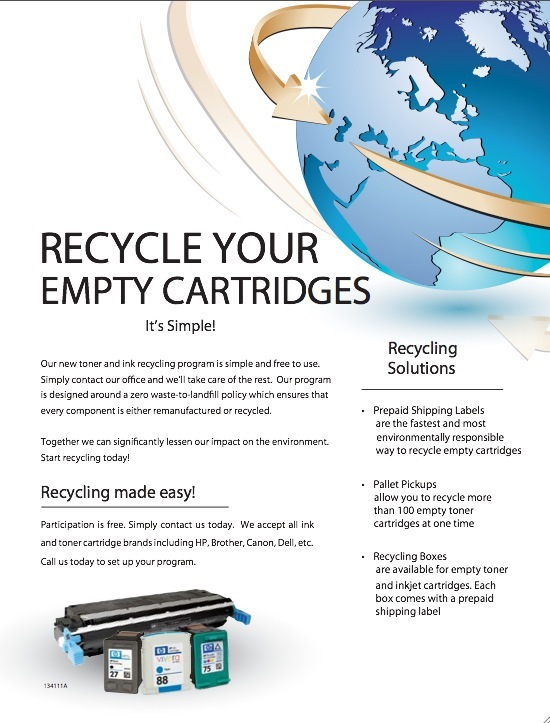 Contact us to recycle your empty toner and ink cartridges!